When you start processing credit cards at your company, you open up a whole new potential for revenue. However, that new revenue can come with some hidden expenses. What is a credit card chargeback, and how can you avoid them? We’ve got your answers here. Data shows that a third of all point-of-sale transactions involve a credit card. But at the same time, more than half of small businesses in the U.S. don’t accept credit. Companies that don’t accept credit cards are missing out on valuable income. But they might avoid credit card transactions due to concerns like preventing chargebacks. You can make money from customers who want to pay credit without paying their chargebacks. In this guide, we’ll show you how. Keep reading to learn how to maximize your small business income! Chargebacks are an unpleasant and expensive occurrence for many small businesses. This happens when a customer gets in touch with their credit card company and disputes a charge. If the issuer of the card decides the dispute is valid, your account gets debited for the charge, even though it cleared before. This means that you lose not only the money that the customer paid, but also an additional chargeback fee. These fees can run from $15 to $100, so they add up fast. Why would the credit card issuer consider the dispute valid? There are a few different reasons. For example, sometimes a third party made the purchase using the customer’s identity in an act of fraud. However, the customer might dispute charges for things they paid for themselves, too. If they didn’t receive something they ordered, felt that the service or product wasn’t as advertised, were billed incorrectly, or just didn’t recognize what the charge was from, they could dispute it. Why Are Chargebacks So Common? Business happens online now more than ever before. Credit card issuers are also concerned about keeping their customers happy, since there are so many new credit card offers that might draw their customers away. This means chargebacks happen more often now than they used to. 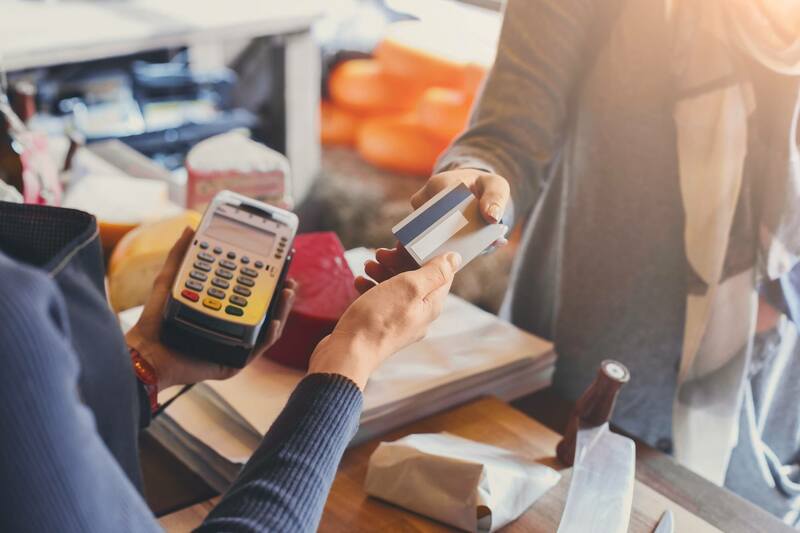 Although the credit industry has successfully focused on reducing identity theft and stolen cards, reducing chargebacks from these sources in turn, the other sources of chargebacks still pose a problem for small businesses. To minimize the chances of a chargeback, you need to be vigilant and put in the work. It’s a good idea to review your approach to preventing chargebacks, and the numbers of chargebacks you get, every six to 12 months. However, if you’re a large company, a quarterly review might be more efficient. What steps should you take when you start working to reduce chargebacks? Let’s take a look. Your credit card processor has a certain protocol governing accepting credit cards. If the card gets swiped in person, make sure you’re always checking the expiration date on the card. Don’t forget to enter security codes from both the front and back of the card as needed. For transactions when the card isn’t present, such as those done online or over the phone, the processor might need to give you specific permission. For these transactions to work, other information needs to get captured. This may include the customer’s IP address, social media info, or digital signature, for example. Other processors get additional verification of identity using systems like MasterCard SecureCode or Verified by Visa. With these services, customers are required to put in an additional password to authorize their online credit payments. When you ship an item, you might also be required to give proof of delivery to the processor. No matter what the protocols are, following them helps ensure you can reduce chargebacks. Credit card companies handle a lot of disputes due to unclear payment descriptors. What’s a payment descriptor? It’s the name of the merchant and any other identifications that show up on the customer’s credit card statement for the transaction. If the name there is different from what the customer recognizes, they might dispute the order. Is your payment descriptor the name of a parent company, and not the brand name of your actual store? This can cause a lot of confusion for customers. Change the descriptor to something customers will recognize, and you’ll quickly see a drop in chargebacks. To protect yourself from chargeback requests, one of the most important things you can do is to get customers to sign a contract. In the contract, list the specific services or goods they’re buying from your company. Give your customers plenty of options to make signing easy for them. Offer to let them return it via email or fax, sign it electronically, or use a smartphone application to sign with a fingerprint. No matter what, getting authorization in writing from the customer is going to protect you from a chargeback. As long as the contract says you’re authorized to bill their card for a certain amount, the disputes will always be settled in your favor. The credit card processor you use should give you chargeback notifications. This way, you’ll know right away if a customer is disputing a charge. When you use these notifications wisely, they can help you address chargebacks faster so you can get the results you want. Using good customer service is one way to help fix disputes in your favor. If a customer says they’re not satisfied, get in touch with them right away to fix things for them. This helps ensure they won’t dispute the charge later. Is Your Business Having Chargeback Problems? Knowing “What is a credit card chargeback?” won’t keep your business from experiencing problems. But if you understand chargebacks and follow the steps on this list to prevent them, you’ll soon save lots of money – and have happier customers. Learning to prevent fraud is another important way to keep chargebacks at bay. Don’t miss this post on preventing ecommerce fraud.